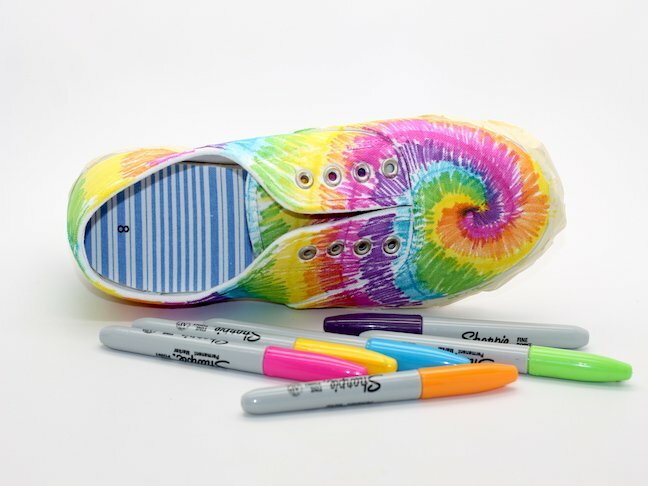 Here’s a craft that will satisfy your kid’s deepest desire to tie dye and your longing not to have permanent dye all over your house: tie dye sneakers. 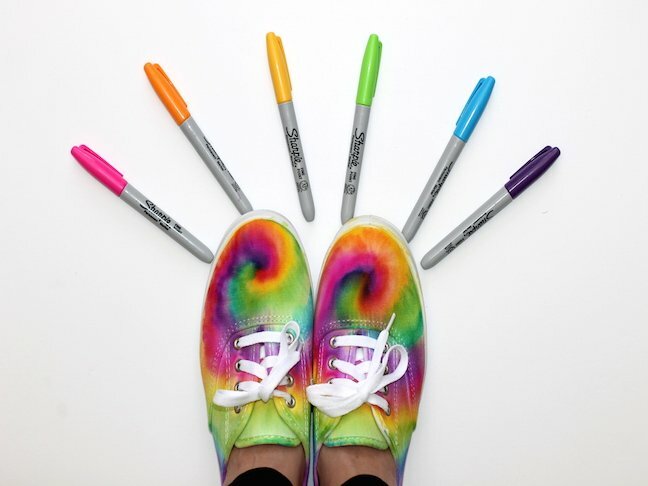 But not the messy tie dye you’re thinking of; this tie dye project uses just markers and rubbing alcohol. Cool, right? 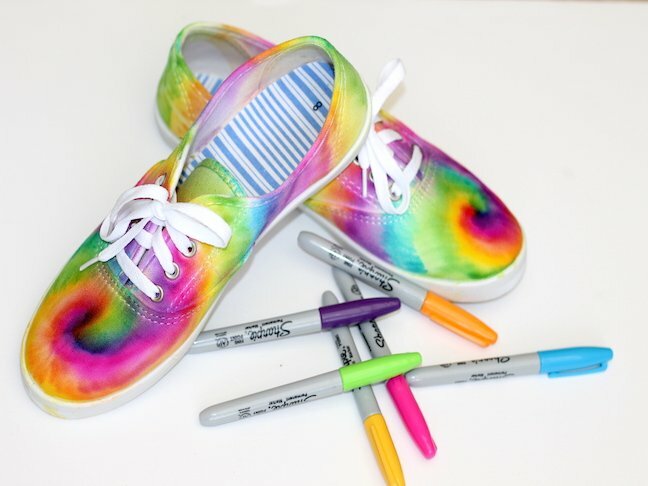 And this tie dye sneaker craft isn’t just for kids. Moms and dads can walk around with pops of color on their feet too, can’t they? 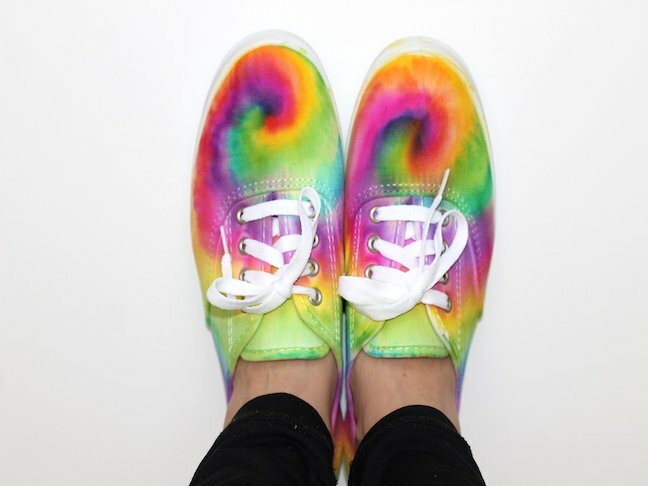 I’m going to show you how to make psychedelic swirls on canvas sneakers, but your family can also make designs on pillow cases, t-shirts, and tote bags. You can even make designs on some fabric and frame it for your kid’s bedroom. You can get as creative as you want. Make star and stripe designs for the Fourth of July or make star burst designs. No matter what, your family is going to be cool for the summer. 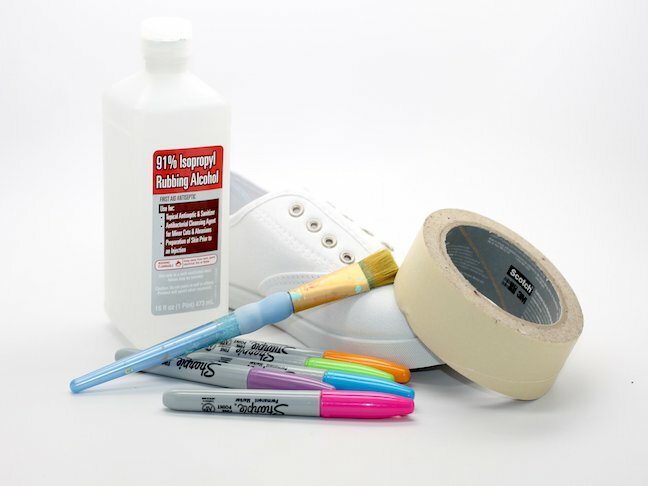 Step 1: Cover the rubber soles of the sneakers with painter’s tape. You may still get some ink on the rubber, but the tape will keep a majority of the ink off. 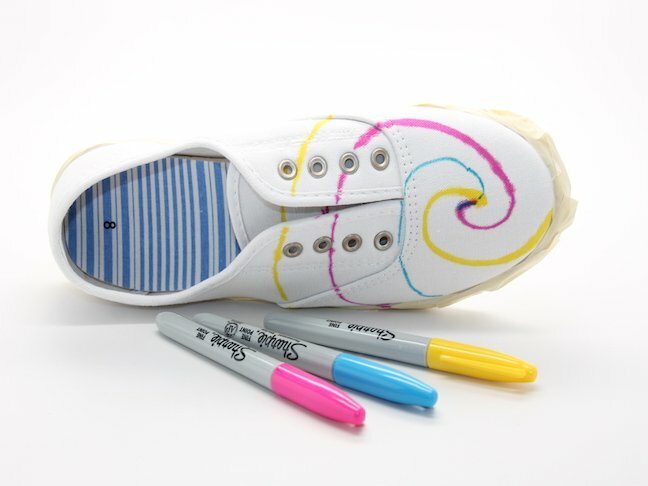 Step 2: Draw three swirls with colors starting at the top of the shoes and expanding to the sides. Make the swirls wider as you get farther from the swirl’s center point. If you are using yellow in your design, start with that marker first. If not, you may mess up your yellow marker by the darker ink bleeding into the tip. Step 3: On top of the line, draw individual jagged perpendicular lines. Remember to make the lines small at first and wider as you move away from the center point of the swirl. Repeat for each color. Leave a little bit of white in between each color. 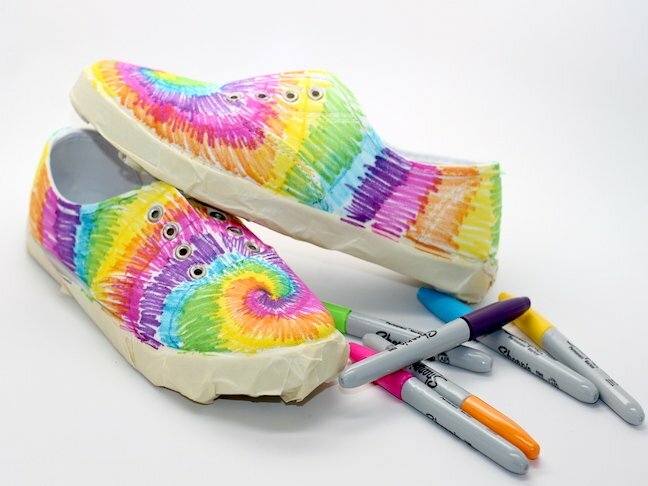 Step 4: Fill in the white in between each swirl of color with other colors (in jagged lines) until the shoe is completely colored. 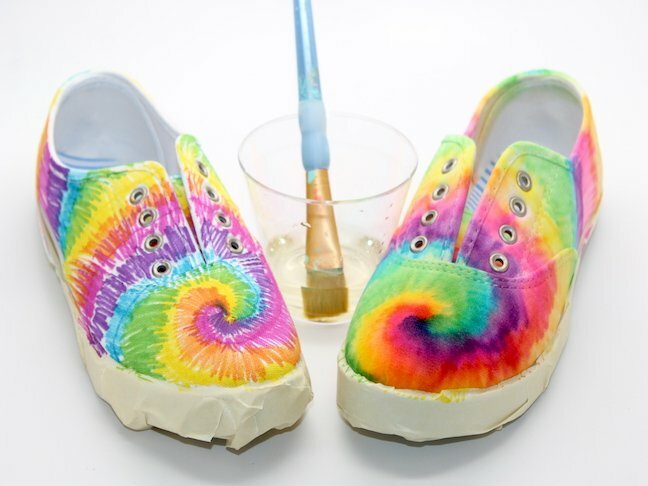 Remember, the charm about tie dye is that it is NOT PERFECT! 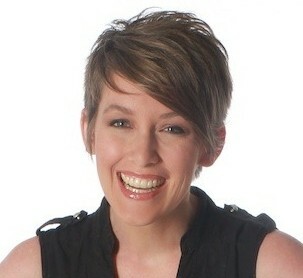 So, have fun with it and if you mess up, laugh. Step 5: Repeat with second shoe. Step 6: Dip a paint brush into rubbing alcohol and then smear onto your design. 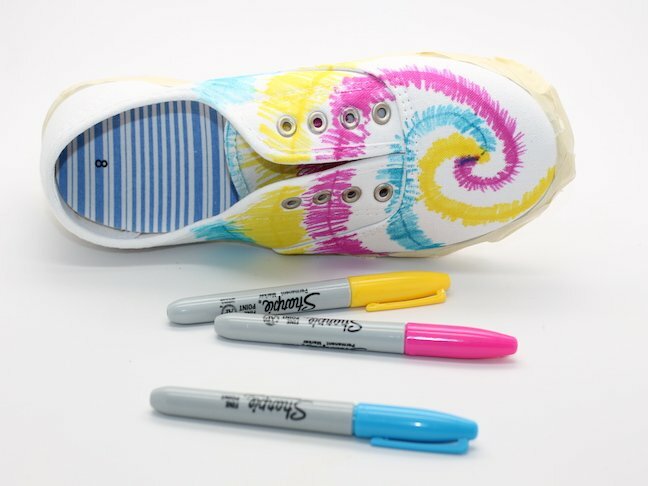 Some sharpie tie dye tutorials suggest using an eye dropper to apply the alcohol. I find, however, that you have more control of the alcohol and smearing with the paint brush. 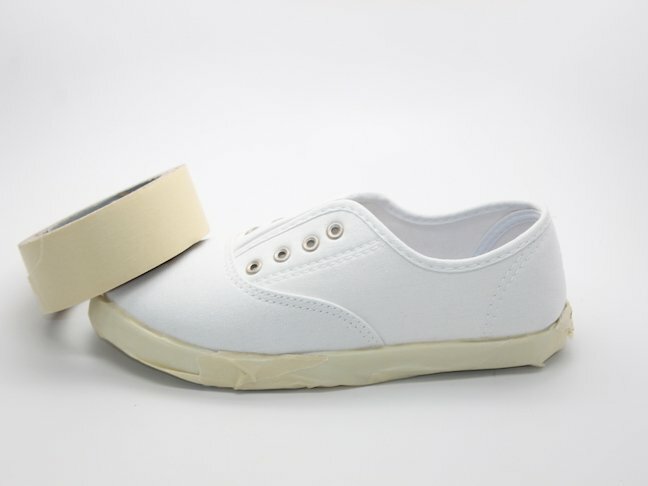 Step 7: Let the shoes dry overnight.